Homebuyers and sellers often don't agree on many things, but they do share one important concern: they both want a successful transaction. This camaraderie is very evident during the appraisal process. The results of the home's appraisal can mess up the entire deal. 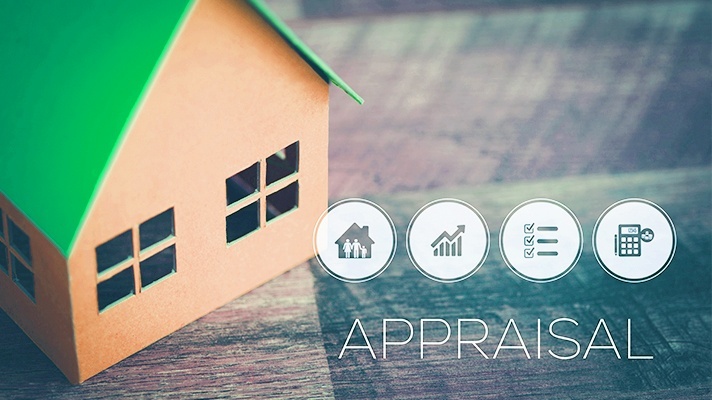 Appraisers take several factors into account when deciding the worth of a home. While some of these, such as location, can't be helped, there are other things that a homeowner can do to ensure that the home is appraised for maximum its value. Appraisers don't much time in the home. In fact, the interior inspection only takes around 20 -30 minutes. It's pretty easy for the inspector to assess the amenities of the home, as they do it so often. They tend to look around rather quickly, so you don't have much time to make a good first impression, so make sure to have everything as perfect as possible in advance of the appraiser's visit. First, make sure there is a packet of information that you can hand the appraiser as he or she speeds out the door after the inspection. Your Real Estate Agent should be able to provide all the information and create a packet for you. This packet should contain the basics about your home, and anything that will help back up the buyer's offer. Be sure to include a fact sheet about the home with the address, the year the home was built, the square footage, number of bedrooms and bathrooms, and the size of the lot, etc. Also include a listing of recent sales in the area, especially if you know of any for-sale-by-owner homes that have sold or homes that sold for less than they should have for any reason. Work with your agent to create a list of any improvements you've made to the home. List them by date and include contact information for the contractor who did the work. The appraiser assigns the home with what is known as an "effective age." This "effective age" is based on the condition of your home, and how it's been maintained. The age may be older or younger than its actual age. For example, if you have a cracked window, worn out carpeting, tiles falling off the shower, etc. these items could add up to a below average condition rating, and your effective age will be lower resulting in comparables being utilized which will have the same effective age and resulting lower value. A clean house gives the illusion that the home has been well-maintained even if it hasn't been. It's always a good idea to keep a clean home - especially before the appraiser's arrival. Everything from landscaping, carpeting, marks on walls - they all affect value and are part of the property's overall condition rating. So, clean up the inside and outside of the home. For more information about maximizing your home's appraised value, Contact me!